The most significant and essential contribution of the human being is considered as blood Donation. A blood Donor always receives huge respect for the society as well as for the whole nation. 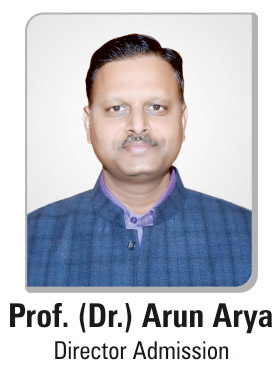 To find the factors affecting the knowledge and practice of blood donation among the college students and their attitude towards the same, Arya College of Engineering and IT is going to organize Blood Donation Camp on 28th March 2018 at Arya 1st Old Campus in association with Rotary Club and National service Scheme. This year, it is promoted as “Donate Blood, Save Lives”. Arya College believes that one blood donation or contribution can save up to 3 lives. It will inculcate a sone of responsibility among students towards society. This Camp is not only focused on students, but Staff and other team members will also participate and motivate their families and students to do the same for the needy people. Before the start of the Blood Donation Camp, the Doctors at the Campus will check the health condition of the do the nor and tell them whether they are eligible for Donating Blood or not. There will be the number of banners and Posters at the Donation area for the motivation of the students or Blood Donors. The College committee prepared the strategy by making some volunteers with rarest blood group and some which can make a helpful hand in the emergency situations. The Blood Donors will be provided with special Breakfast and soft drinks so that their own physical fitness could remain maintained. Also, a special certificate will be distributed to the donors, which will set an example for the Society and for themselves in the future too. After the donation Camp, Arya College has arranged a felicitation ceremony for the donors where their contributions will be acknowledged. Students will be provided with the donor Cards that would help them in the future to obtain blood in times of need, as it is the core responsibility of the society to return their contributions.